We finally received all of the bills for Alexis' surgery. Even with 90% "coverage," we owe over $1,000. Keep in mind, this was a morning procedure, and then a one night stay in the hospital. Given that we have 90% "coverage," it would seem safe to assume that the insurance company is paying $9,000, but this isn't the case. Due to deals they strike with doctors and hospitals, they're only paying a little under $4,000. They should be assigning the 10% we owe after they get their discounts, but of course that's not how it works. Let's face it, corporations, especially the likes of the insurance companies are basically what's running this country these days. Anyone that thinks that "We the People" truly have a voice is deluding themselves. Needless to say, this has put a serious dent in our finances, and since Rebecca still hasn't gotten her promotion, we may be forced to rethink a lot of things we have going on right now...which will only make life more difficult. 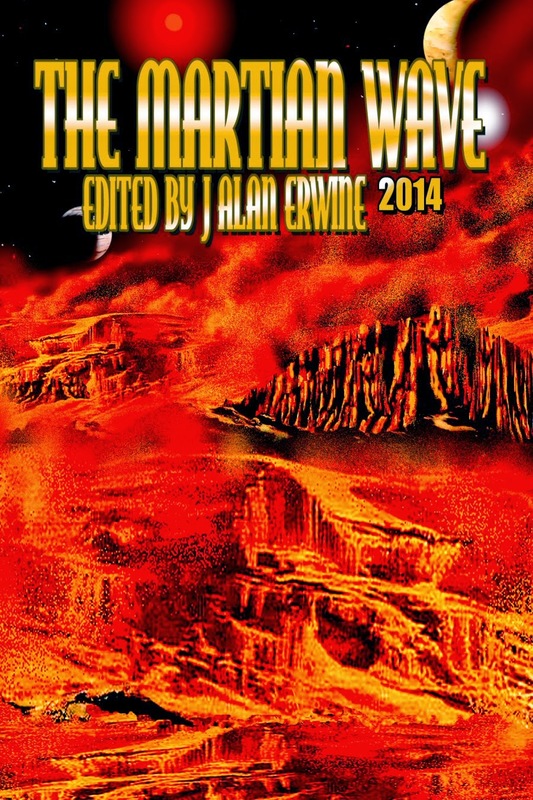 Here's the cover for the 2014 issue of The Martian Wave. The official release date is July 1st, but we will be starting a pre-sale very soon, so get ready to order your copies. Our oldest has the opportunity to go to Washington D.C. during the Summer of 2015 on a trip that's run by Worldstrides. She will have the chance to visit most of the monuments, see the National Museum, and get a better idea of the history of our country. Unfortunately, it looks like her school isn't going to be doing anything to help them with fundraising, leaving them to raise all the money on their own. Given that, we're doing everything we can to help her raise the money, and we've set up a page on Go Fund Me for anyone that would be willing to help her. The site can be found at http://www.gofundme.com/8wknt8. We know money is tight for everyone, but if anyone is able to help her out, it would be greatly appreciated. This would be one of the most amazing experiences she'll have as a young lady, and we really want to send her.